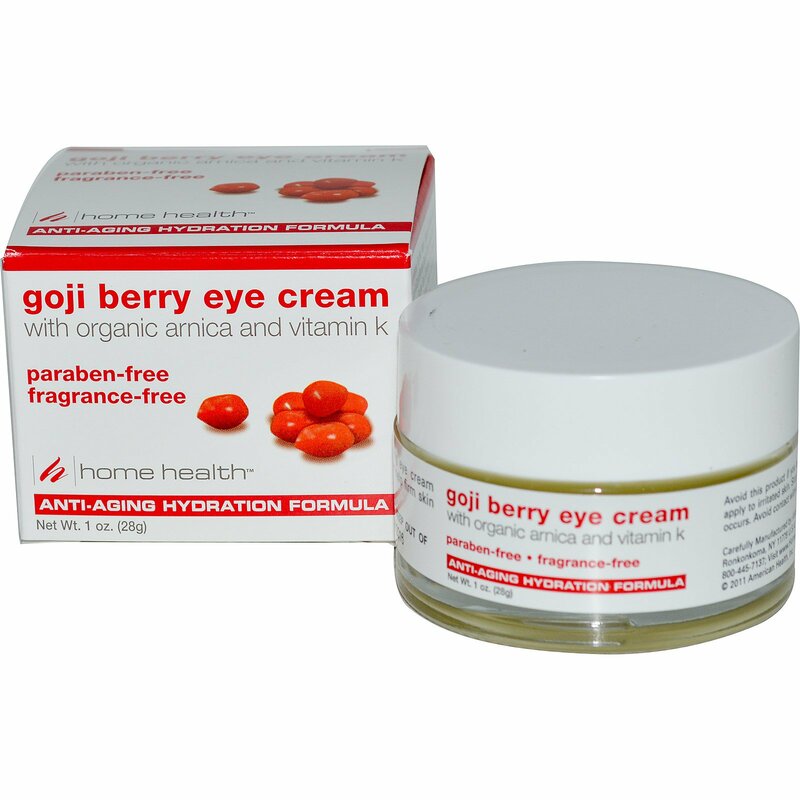 Inspired by the powerful antioxidant protection of the exotic goji berry, Goji Berry Eye Cream represents a breakthrough in anti-aging eye care wellness. We combined the nutrient-rich goji berry [Himalayan Lycium Berry] with specially selected moisturizing and health-promoting skin care ingredients including organic arnica and vitamin K, well-known for reducing swelling around eyes and soothing away puffiness. Use daily to protect, hydrate and improve firmness of the delicate skin surrounding the eyes for a smoother, more youthful-looking appearance. Non-greasy. Absorbs quickly. 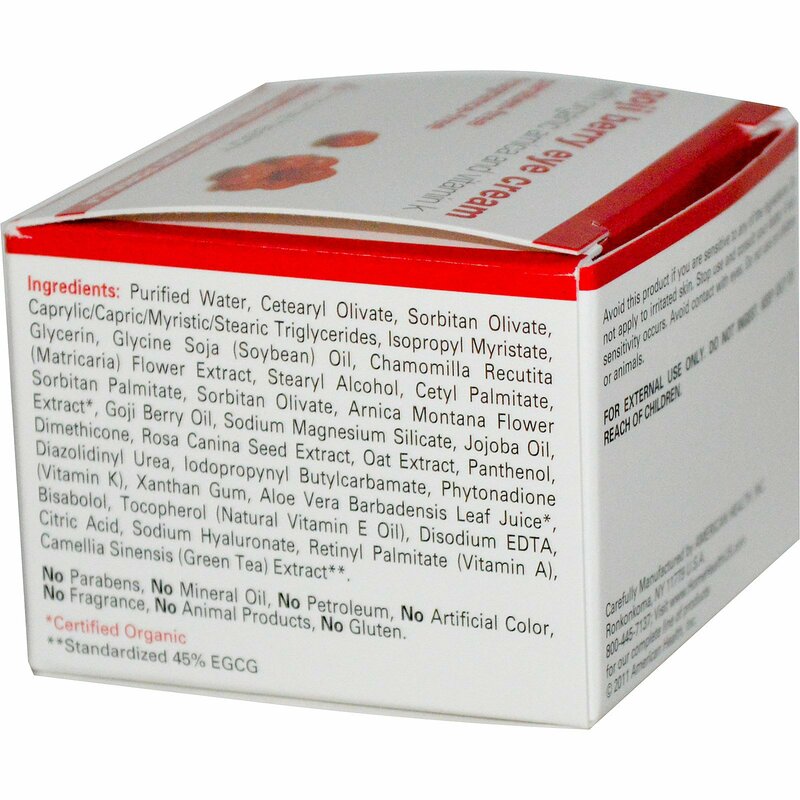 No Parabens, No Mineral Oil, No Petroleum, No Artificial Color, No Fragrance, No Animal Products, Gluten Free.